Arcadecraft has been on sale for about 8 full days now and we are currently looking at a good 1775 scores up on the board. It has been a great start and we are really happy where the game is at the moment! We have been cranking away on the mini update to the game that is intended to fix the Code 4 issue a number of people have reported. Yesterday we had a tester playing through the entire game which was hooked up to the debugger so we could track down any issue he would find. Unfortunately all that happened was he had a good 6-7 hour long game without problems. Today however, Sam encountered a crash and thinks he may have found and fixed the root cause of the problem! Great news if he is proven to be correct. The Angry Gamer no longer spawns when the player is in the menus. Alex Hoarder no longer always asks for your oldest machine. Alex Hoarder selling Code 4 crash is fixed. The new music track is in. Multiple 8-bit music jingles have been added to the various game genres. Memory savings and performance gains via texture atlasing. Neon has seen a minor update. 4 of the 6 new machines are complete. Some textures are higher res. Hopefully we can get this update into Peer Review mid next week so we can get you a better experience with more content sooner. Other than that we wanted to share a couple new things! 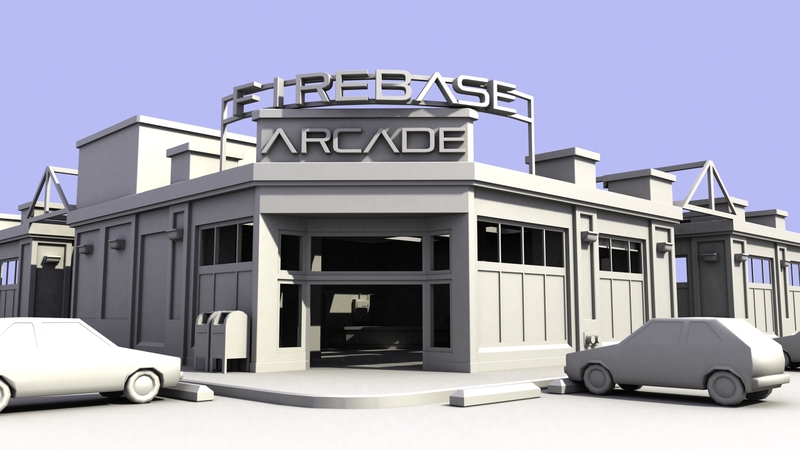 Here is a render of what the new location may look like! Some of it is textured already but we wanted to show you it without the patchwork of materials. It is a good chunk larger inside and currently has two pillars that you need to work around. We would like it so you can break one of the pillars down for a good deal of in game money. 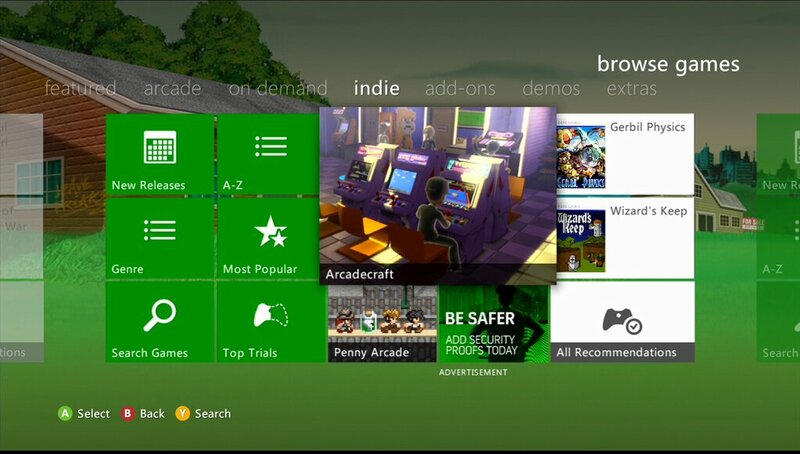 We are also happy to announce that someone at Microsoft has been more than kind and decided to feature us on the Xbox dashboard! Special thanks to @masterblud for supplying the image! Psyched! Can’t wait for more!